Following Tom's presentation at the April 26th event, Tom received the following e-mail. On behalf of the API 2017 Control Room Forum Committee, I thank you for sharing your knowledge, experience, and expertise as our keynote speaker. The response and comments to me and other committee members about your address has been outstanding. Febuary 16th and 17th PKD taught its poplular Oil and Gas Pipeline for NonTechnical Professionals class. Comapanies sending students included Colonial Piopeline, Plains All American Pipeline, and Phillips 66. 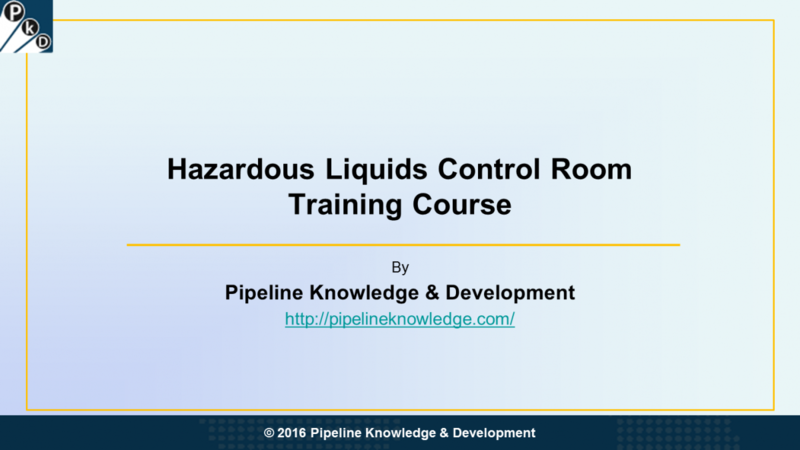 Our Hazardous Liquid Pipeline Control Room Training Course is now available. Click here to view the promotional video for the course.